Looking for fun, easy ways to celebrate the 4th of July this year? If so, you have come to the right spot. 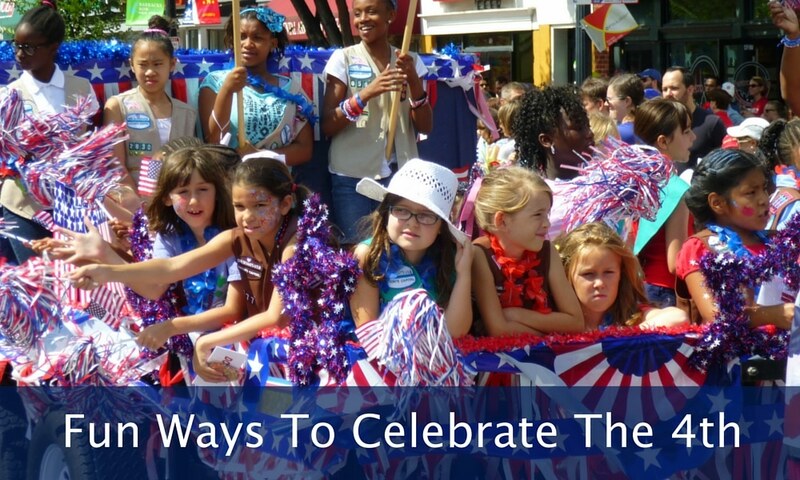 We have compiled a list of nine fun ways you can celebrate our nation’s independence. However, before we get into all of the fun stuff, let us take the time to remember why this day is such an important day in our nation’s history. Now, check out our fun ways to celebrate this glorious day! Probably the most obvious way to celebrate the 4th, but we have to mention it; pick up some fireworks and sparklers or watch a fireworks show. Neighborhood or family BBQ’s are a great way to enjoy some delicious food and visit. Attending a 4th of July parade is not only fun but is also a great way to honor and meet some of the men and women who put their lives on the line to keep our nation’s independence. This one is definitely one of the more important ways to celebrate the US’ independence; fly our flag high and proud. Dressing up in red, white and blue is a quick and simple way to celebrate and recognize the 4th. Read and share the Declaration of Independence, it isn’t long and is one of the most important documents in our nation’s history. For those who aren’t huge fans of the outdoors, relax on the couch and watch a patriotic movie; there are a TON out there. Be sure to see if your hometown or city has any activities planned for the 4th. Most places have parades, BBQs and fireworks.